Welcome to the second part of my Too Faced 'Matte Collection' Update. Todays how to is the 'Classic' look. This is a beautiful combination of a cream, grey, and navy blue matte eye shadows. I particularly like the navy blue which is called London Fog. 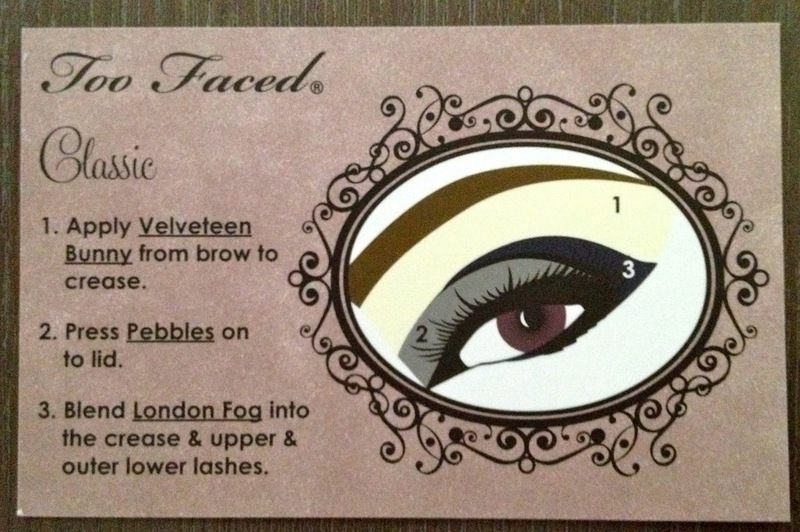 I used this under and above the lashes to give a smoky hue to my eyes. Then to finish the look off I applied my blue mascara. I have never used matte eye shadow before and admit the more I am using this collection by Too Faced the more I like them. Be back soon with the final look from this palette.